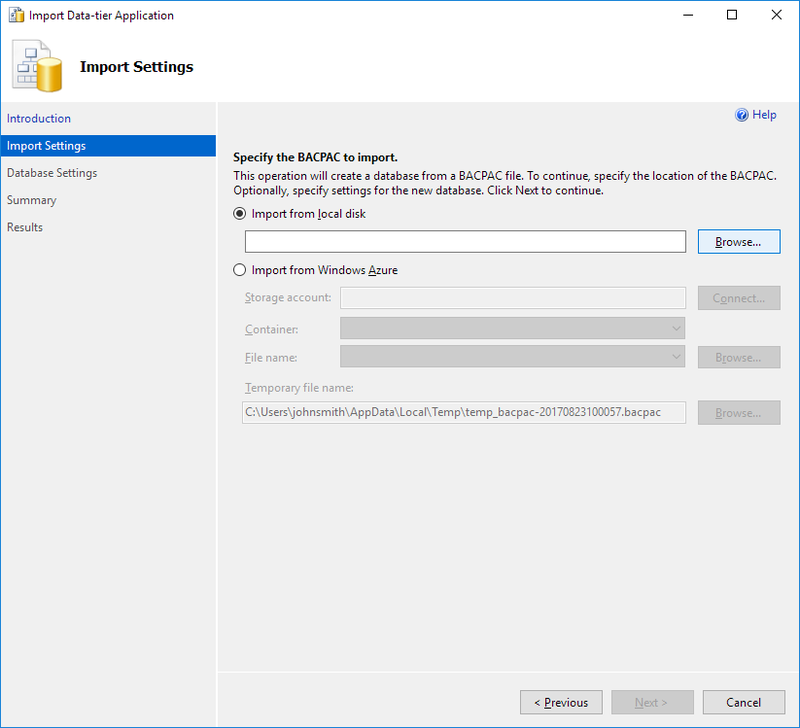 The easiest way to move the Dataedo repository from one server instance to another would be to create a BACPAC file and import it. 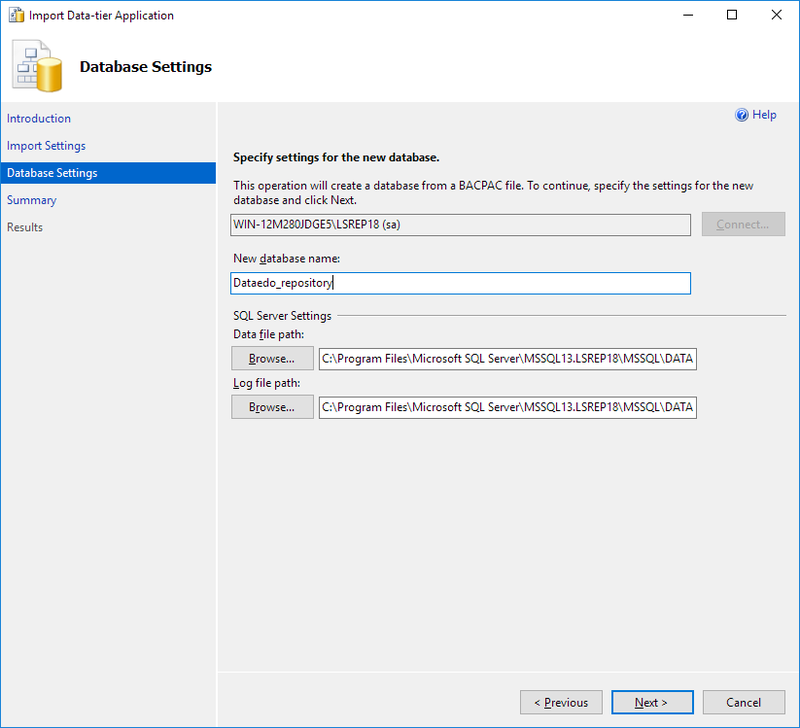 Please note that this may not move user/license data, so you'll probably need to define users again through Dataedo Administration Console after the transfer. 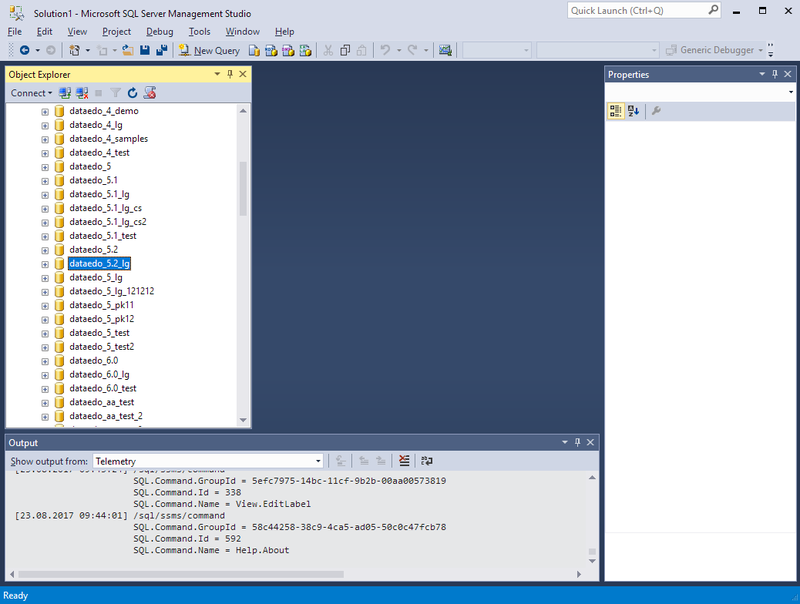 Log in to your SQL Server instance through Management Studio. 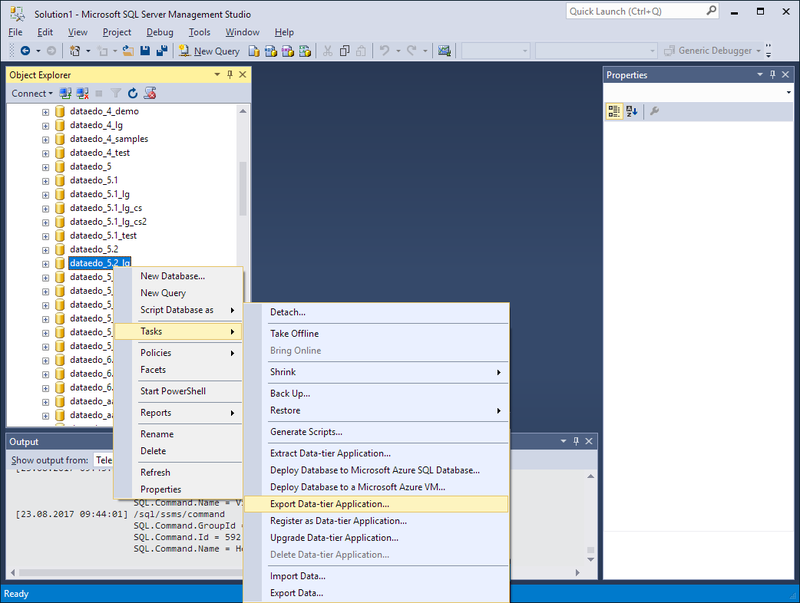 In Object explorer, find and right click your repository database. 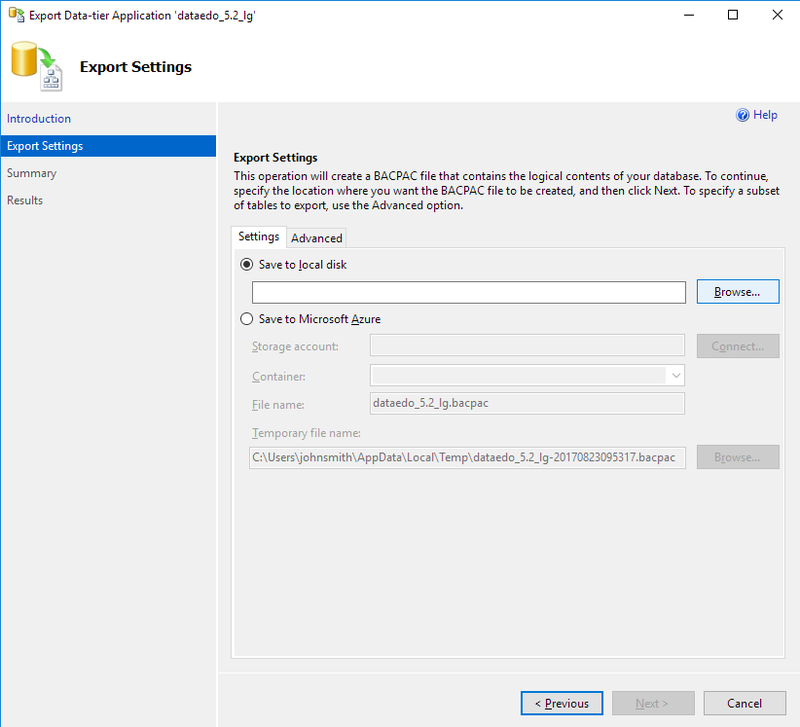 On the Export Settings screen, in the Settings tab, choose Save to local disk and click Browse... then specify location and name of the export file. Connect to the other server instance to which you want to transfer your repository. Right click the Databases folder. On the Introduction page, click Next. On the Import settings screen, choose Import from local disk, and click Browse... and point to the file you've exported previously. Click Next. On Database Settings screen, in the New database name field specify the name of your new repository database. On Summary screen, click Finish. After a while, your database will be created. 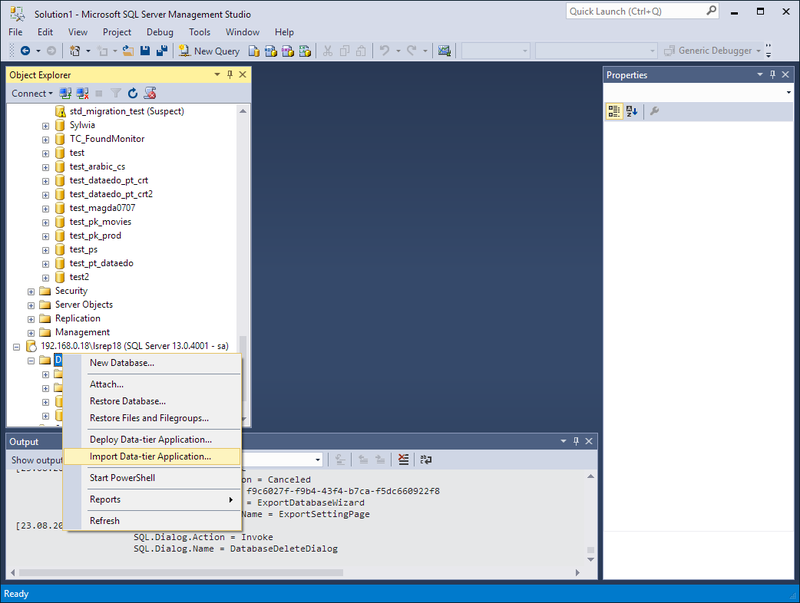 Connect to the new database with Dataedo Administration Console to recreate user and license information. You should be ready to go now.